The National Center for Scientific Research is a French government-funded research organisation created in 1939. As the largest fundamental research organisation in Europe, CNRS is involved in all scientific fields of knowledge. 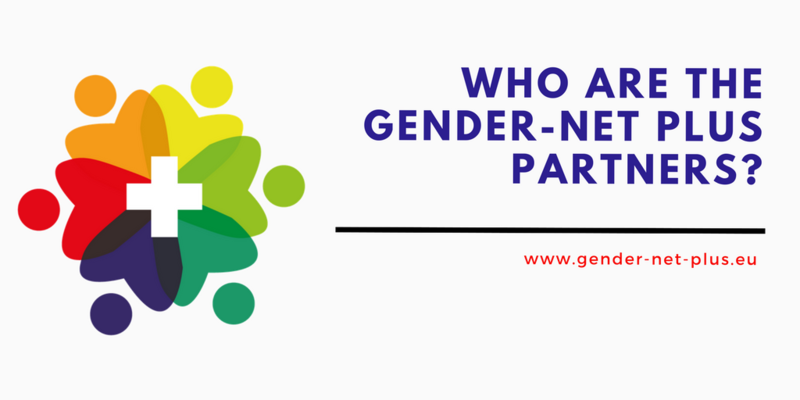 GENDER-NET Plus is coordinated and managed by the CNRS through its Mission for the Place of Women (MPF), leading the Management (WP1) and Communication (WP7) work packages, and participating to other WPs. The Ministry of Economy, Industry and Competitiveness is responsible for elaborating and implementing government policies on scientific research, technological development and innovation in all sectors, as well as for coordinating State-owned research institutions. Besides participating in all WPs, MINECO is the lead partner of WP4 and the lead partner of Task 6.2. The Research Council of Norway is a national strategic and funding agency for research activities, and a chief source of advice on and input into research policy for the Norwegian Government, the central government administration and the overall research community. RCN was a partner in ERA-NET GENDER-NET (FP7) is now the leader of GENDER-NET Plus WP6. RCN participates in all WPs, co-leading Task 2.1 as well as Task 7.1. The Swedish Research Council (SRC) has a leading role in developing Swedish research of the highest scientific quality, thereby contributing to the development of society. SRC leads the preparation and launch of the GENDER-NET Plus co-funded call work package (WP2). SRC is also the co-leader of Task 6.3, leads Task 6.4, and is involved in all WPs. The Council was formed in 2012 and operates under the aegis of the Higher Education Authority. The core function of the Council is to support excellent frontier research across all disciplines and all career stages. It places a particular focus on early-stage career researchers and promotes diverse career opportunities for researchers by partnering with employers. The Council also has a particular role in supporting research with a societal focus, and has established partnerships across government and civic society. The Irish Research Council, as WP3 co-Leader and WP5 Leader, while contributing more broadly to all WPs and co-leading Task 6.3. The Austrian Science Fund (FWF) is Austria’s central funding organization for basic research. The FWF supports the ongoing development of Austrian science and basic research at a high international level. FWF´s objective is to strengthen the Austria´s international performance and capabilities in science and research as well as the country´s attractiveness as a location for high-level scientific activities, primarily by funding of top-quality research projects for individuals and teams by enhancing the competitiveness of Austria´s innovation system and its research facilities. FWF was Observer in GENDER-NET (FP7) and is now actively contributing to the co-funded joint call while participating in all WPs. The Fund for Scientific Research – FNRS (F.R.S.-FNRS) is a research funding agency that promotes and supports basic scientific research in the French-speaking Community of Belgium. The Fund supports individual researchers on the basis of the criterion of excellence by offering temporary or permanent positions; funding to research teams; grants and credits for international collaboration and scientific prizes. F.R.S.-FNRS fosters research in all scientific fields, following a bottom-up approach of investigator-driven research. F.R.S.-FNRS – previous partner of the GENDER-NET project (FP7) – co-leads Task 5.2 and contributes to the co-funded joint call while participating in all WPs. TA CR is a national public authority and the key research funding organisation (RFO) for the applied research, development and innovation in the Czech Republic. As RFO, TA CR prepares, manages and administrates programmes of applied research, experimental development and innovation. TA CR was an Observer in the GENDER-NET project (FP7) and contributes now to the GENDER-NET Plus co-funded joint call while participating in all WPs. The Research Promotion Foundation (RPF) is a non-profit private foundation with public mandate in Cyprus, founded in 1996 by the Government of the Republic of Cyprus. The Foundation’s core objective is to serve as the national agency for scientific and technological research and innovation in Cyprus. The RPF has overall responsibility for the coordination of activities relating to the EU Framework Programmes and it has been actively involved in a number of EC funded projects, including most of the NCP Network Projects and a considerable number of ERA-NET Projects and four JPIs. The RPF contributes to the co-funded joint call and is a participant in all WPs. The Ministry of Science, Technology and Space (MOST) is a key agency in shaping and advancing Israel’s R&D policy and is active in promoting gender equality in all fields of research and technology. MOST, strong from its experience as full partner in the GENDER-NET project (FP7) aslo contributes to the co-funded joint call and is a participant in all WPs. The Estonian Research Council (Eesti Teadusagentuur, ETAg), is a governmental foundation, responsible to the Ministry of Education and Research. ETAg co-leads Task 2.2 being responsible for setting up an electronic submission system for applicants as well as Task 2.3. ETAg is also co-leader of the evaluation and proposal selection work package (WP3) and contributes to the co-funded joint call while participating in all WPs. The Italian Ministry of Health (MoH-IT) represents the central level of the Italian National Health Service (IT-NHS) and is responsible for the overall planning and control and to establish the IT-NHS targets and most important measures to be implemented. The MoH-IT acts as lead partner of Task 4.3 and contributes to the co-funded joint call, while contributing as participating partner to the activities of all WPs. The Natural Sciences and Engineering Research Council (NSERC) is Canada’s federal granting agency for funding research in the natural sciences and engineering (NSE). NSERC aims to make Canada a country of discoverers and innovators for the benefit of all Canadians. NSERC participated in the last GENDER-NET project as an Observer and contributes now to the co-funded joint call while participating in all WPs. As Canada’s health research investment agency, CIHR collaborate with partners and researchers to support the discoveries and innovations that improve health and strengthen health care systems. Of note, CIHR participated in the last GENDER-NET ERA-NET as Co-leader for WP3, and contributes now to GENDER-NET Plus as a participant in all WPs and as a contributor to the joint call. The French National Research Agency (ANR) is a public body under the authority of the Ministry in charge of research, and provides funding for project-based research in all fields of science – for both basic and applied research – to public research organisations and universities, as well as to private companies. ANR will contribute to the co-funded joint call and be a participant in all WPs. FBLC supports innovation programmes to bring ground-breaking ideas in Health and Life Sciences from the lab to the market under the Responsible Research and Innovation (RRI) principles. FBLC also supports Scientific Research in fields such as Oncology, Neurosciences and Infectious and Cardiovascular diseases through open calls, and the collaboration with universities and research institutes in Spain. In the framework of GENDER- NET Plus, FBLC is co-leader of Task 1.5 and contributes to the co-funded joint call while participanting in all WPs.